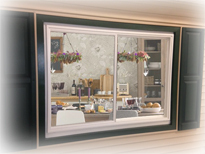 Model 6800 Dual Slider - Welcome to Interstate Window & Door Company! SLIDERS are similar to double hung windows but sashes move from side to side. Meet the work horse of the Interstate vinyl window line. The model 6800 Dual Slider is a strong, mid-level window with many options that will satisfy most of today’s construction demands for replacement and new construction projects. The slider offers a lift handle, balance covers, head and sill expanders for added insulation providing less air infiltration after the installation. 4-point welded vinyl profiles for extra strength. 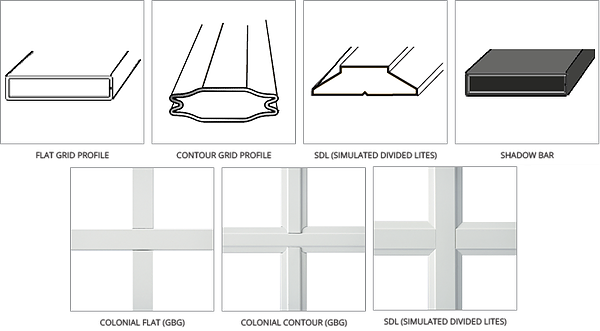 Multi chambered profiles assure energy efficiency. 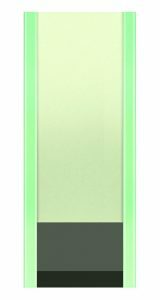 Nominal 1″ insulated glass for optimal performance. Exterior glazed sash for attractive, non-caulked joints. Sashes lift out to clean. Both sashes glide from side to side and lift out for easy cleaning. Strong, attractive, easy operating and high performing lock. Weather resistant nylon glides allow the sash to move smoothly and quietly. Outstanding air infiltration of .07 cfm/ft2 for energy savings. ClimaGuard™ Low E glass/Argon gas optional for best thermal rating. Dual weather stripping to prevent leaks and maximize energy efficiency. Duraseal™ IG Spacer to maximize energy efficiency. 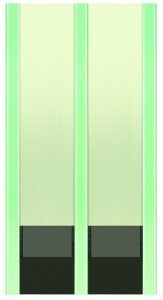 Incredible Double Hung Triple Fuel Saver Glass U-Factor now at .16 (low e/low e/clear, argon/argon) with U-factor as low as .13 on other InVision window styles. Obsoletes the questionable practice of foam filling sash and frames. U-factor up to 54% better than ENERGY STAR Most Efficient qualification. Narrow frame and sash design: More Glass + More Light = More Window! Grids bring a distinctive look to your home. Four grid styles in a variety of color and style combinations offer many choices when selecting grids for your windows. Grids Between Glass (GBG) afford easy cleaning, Simulated Divided Lites (SDLs) are permanently adhered to the panes inside and out and are designed to look like a true multi-paned window. * Only Flat and exterior Simulated Divided Lites can be custom painted.